Kent’s premier drylining, plastering and rendering experts! When it comes to drylining, plastering and rendering, there is nothing we don’t know. Having worked in the industry for over 36 years, we have developed a reputation amongst building contractors, developers, architects and homeowners of putting customers first, providing a wide range of services at very competitive prices and ensuring top quality finishes for any project; large or small. 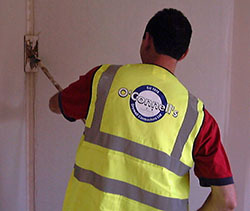 Working throughout Kent, SE London and the South East, we specialise in providing drylining, thermal rendering, plastering and insulation services of the highest possible standard; every time. As the region’s leading drylining contractor, we regularly compete and win contracts, not just on the price of our services but on our quality, customer care and the correct specification compliance. While there are many competitors in this industry, you are guaranteed not to find a better or more competitively priced service anywhere else. Our quality and timeliness of service, customer relationships and accurate and efficient workmanship has won us many prestigious contracts during our 36 years in the industry. Our client base includes Abbey New Homes, Taylor Wimpey and Berkeley Homes, testimony to the standard of work we provide. Our energy efficient renderings, plastering and insulation materials will save you money and help the environment. By ensuring a more comprehensive restriction in heat loss, our systems and products will reduce your energy bills and cut down your monthly costs. We have been rendering, plastering and drylining for over three decades, working on a wide range of new build, refurbishment and renovation projects for customers throughout the South East and SE London. Our unrivalled experience and expertise leads to superior finishing, no matter how challenging or unique the application. 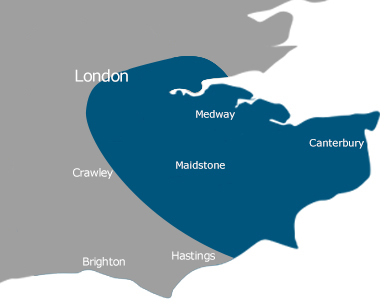 Based in Sittingbourne, we work throughout Kent, SE London and the South East, providing building developers, private homeowners, architects and landlords with the very best in drylining, plastering, rendering and insulation. Many of our recent projects have been for clients in Ashford, Bexleyheath, Bromley, Canterbury, Chatham, Dartford, Gillingham, Gravesend, Medway, Orpington, Rochester, SE London, Sevenoaks, Tonbridge and Tunbridge Wells. If you require any more information about our range of different services, please do not hesitate to contact us. One of our helpful and friendly team will be more than happy to answer any questions and arrange your free no obligation survey and quotation.